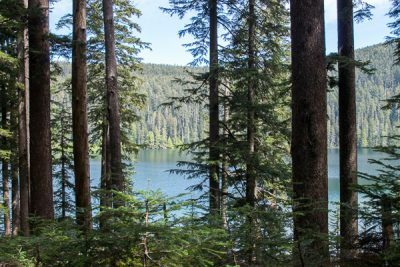 This is a day hike to Burnt Lake, continuing partway up East Zigzag Mountain. 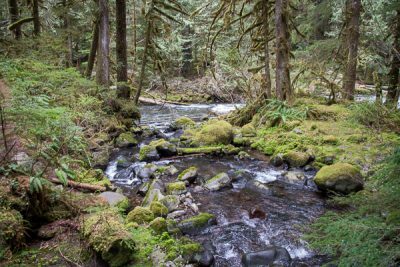 This is a relatively easy/moderate hike next to the Salmon River through a forest with old-growth evergreens to a canyon viewpoint. 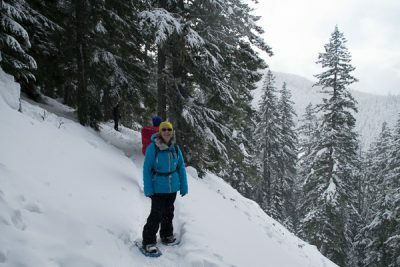 This is an easy snowshoe that follows a creek to a beautiful waterfall. 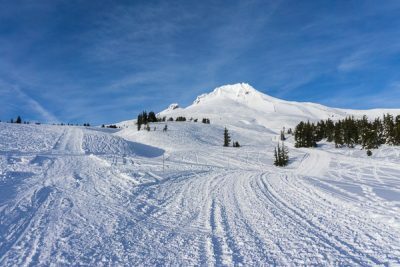 This is an easy snowshoe hike near Mount Hood. The trail is along a road that is closed in the winter, with the lake and Mount Hood in view about half-way around. 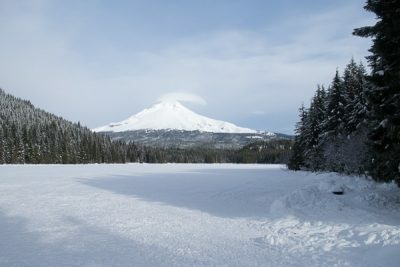 Christmas Eve snowshoe to Lower and Upper Twin Lakes from the Frog Lake SnoPark near Mount Hood: 5.6 miles roundtrip with 875 feet elevation gain. Wahtum Lake is located west of Hood River, between Mount Hood and the Columbia River Gorge. There are many trails that cross through this area, including Eagle Creek, Herman Creek and the PCT.